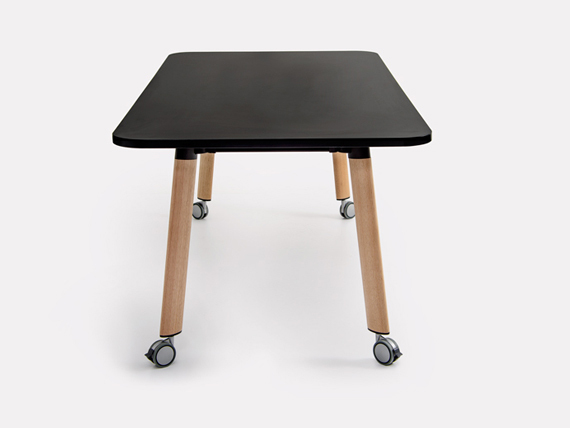 Each leg is connected through a rotational knuckle, made from die cast aluminium. 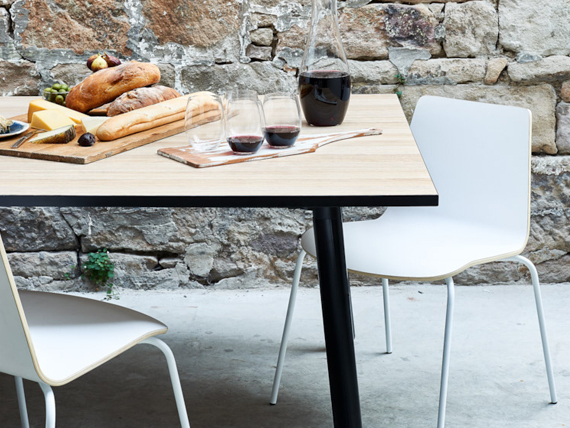 Each leg is connected through a rotational knuckle, made from die cast aluminium. 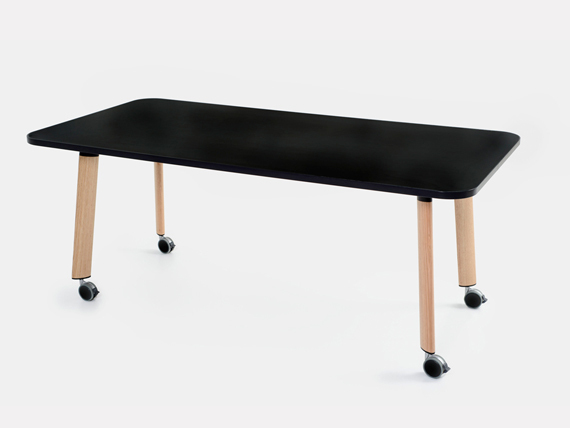 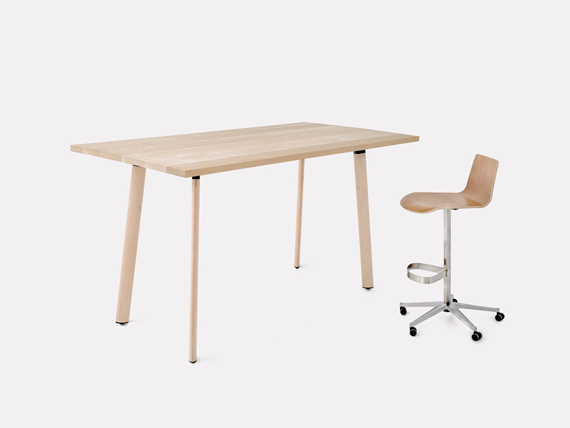 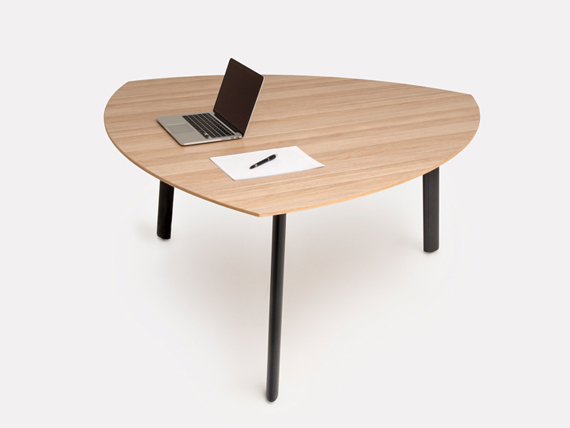 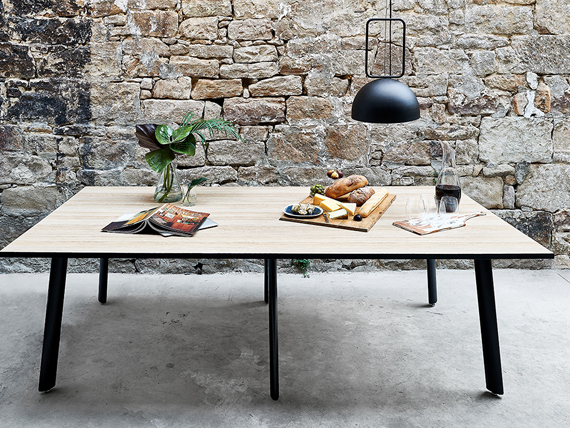 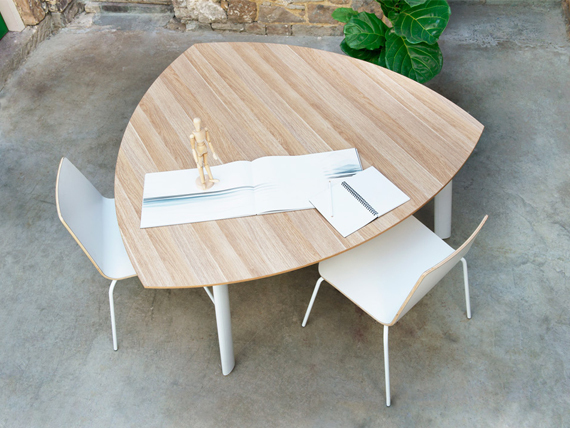 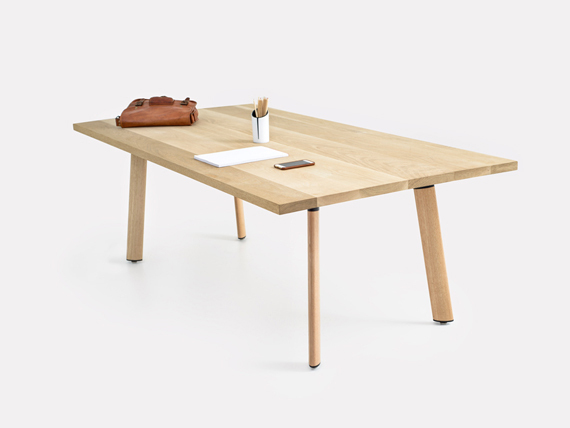 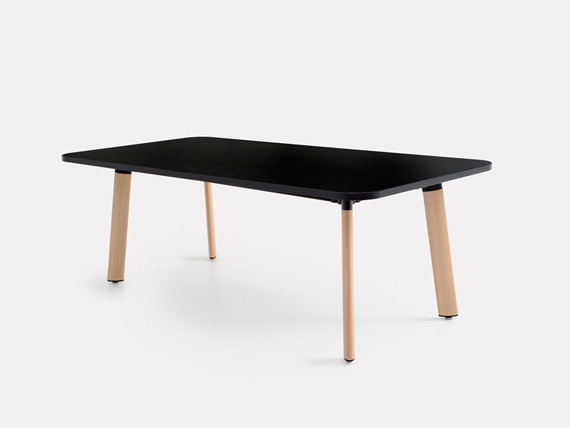 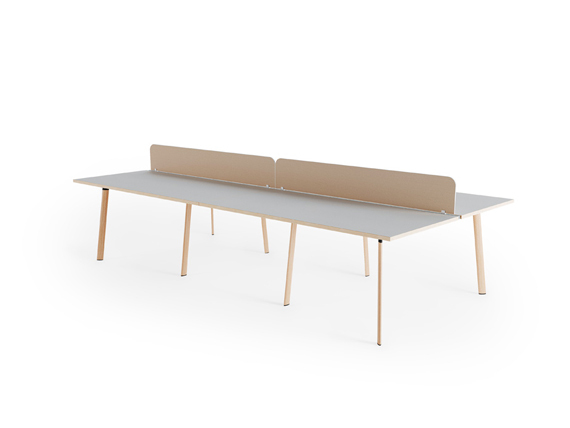 The function of which creates an agile table that can be reiterated to a large number of configurations to create a consistent visual look in the connected workplace. 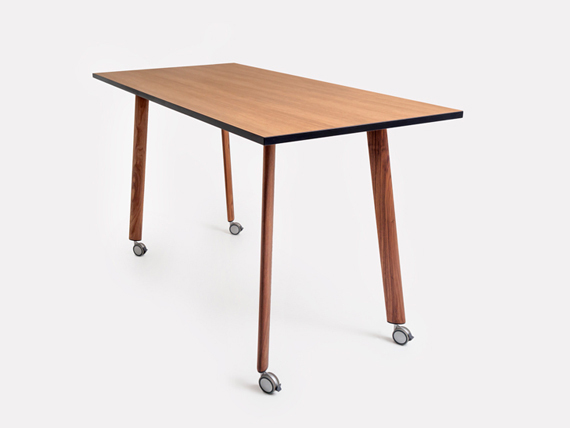 Walki is a high table on glides for action meetings and stand up working. 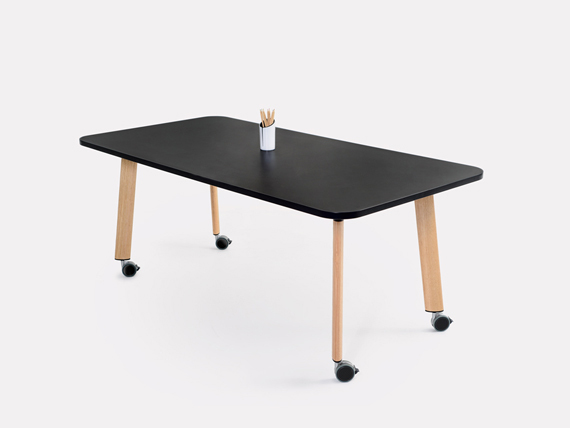 The Walki is part of the Talki collection available in two other variations: Talki is the interactive table for conversation, and Wheeli is on castors. 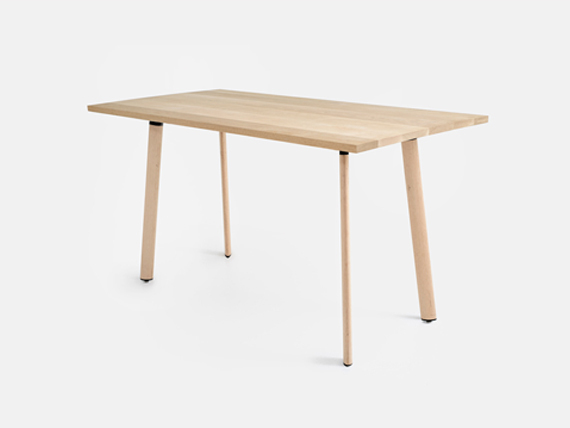 Leg options include Tasmanian Oak, American Oak, American Ash and white or black metal.